Why settle for boring walls when you can go for spectacular? 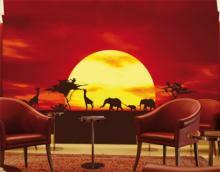 Create the room of your African dreams with this African Caravan wallpaper. 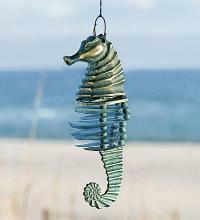 Whether your favorite outdoor living space is your yard, garden, or patio, these beautiful seahorse wind chimes will be music to your ears. 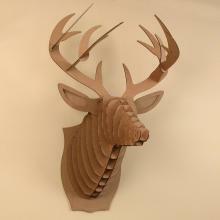 If you have always dreamed of being a big game hunter, but never had the stomach for it, a cardboard animal head could be the answer. 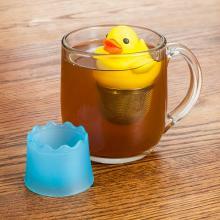 Make tea time more fun with this cure Duckie Tea Infuser. It'll really quack you up! 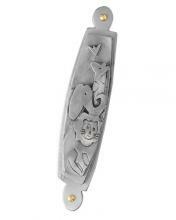 Any Jewish home will be livened up by this cute mezuzah with a Noah's Ark theme. You can stay cool in more ways than one with these 10 fantastic feathered-friend fans. This pink pig easy chair from Target will bring whimsy and delight to any child's room. Celebrate the Year of the Dragon with this beautiful double dragon aquarium, with a double fountainn feature.